When you are planning to buy a new smartphone there is always the second-hand market option. 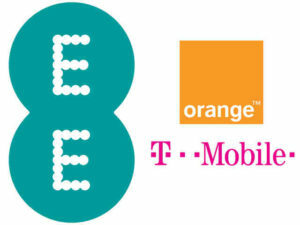 A large number of used mobiles is coming from the UK and you are always in danger of buying a T-Mobile locked device. By getting a T-Mobile UK Full IMEI Check you will know all the details about any android phone or iPhone BEFORE you buy it and use the IMEI GSX Report in order to unlock it. Am I in danger of buying a locked T-Mobile UK iPhone or Android device? Despite Tmobile being on the bench since 2015, there are still many users who didn’t switch to EE. If you found a good used iPhone deal on Amazon, eBay or Craigslist from the United Kingdom then there is always the possibility of buying a T-Mobile locked phone without even knowing it. As long as a phone remains simlocked you will be able to use SIM cards only from the Carrier that network locked it. But this is where T-Mobile UK Full IMEI Check Service steps in for the rescue. The smallest problem you might have is the Carrier Lock but there are many other issues that can make a cell phone useless. The ”T-Mobile UK Full IMEI Check” will show you everything you need. Blacklist Status: When a mobile is reported as stolen or lost/there are pending contract bills/is involved in illegal activities becomes blacklisted and this means that you won’t be able to use it with any Carrier. The cell phone will become CLEAN only when the blacklist reason is lifted. Warranty Status: Find out if the mobile is under warranty or Insurance Plan. In this case, the warranty owner can still report the smartphone as lost or stolen or ask for a replacement. Then the device you are holding will become blacklisted immediately. iCloud Activation Lock Status: A used iPhone can be protected by Find My iPhone Security feature. You won’t be able to use an iCloud Locked iPhone at all, not even as a WiFi game machine. Only Apple and original owner can deactivate iCloud Activation Lock. Beware! What is the T-Mobile Full IMEI Check Tool? In fact, it is not a Tmobile IMEI Checker but a Full IMEI Check applied to all Carriers globally. The only thing you need is the IMEI number of the device. International Mobile Equipment Identity number (IMEI) is a 14-16 digit serial number which identifies a wireless device to all Manufacturers, Mobile Networks, and third-party partners. You can easily find out an IMEI number by calling *#06# with your phone app, or go to phone settings and even sometimes it is written somewhere on the mobile. Verified IMEI Check companies like UnlockSpector have access to IMEI Databases and will get you all the details about any mobile device you want. What happens if a smartphone is locked by T-Mobile UK? Every Carrier has its own Network Unlock policies. This is T-Mobile Unlock policy. In case of Prepaid phones, the smartphone must have been active for more than a year on Tmobile. Go to T-Mobile for more info. Can I Unlock a T-Mobile UK wireless device? 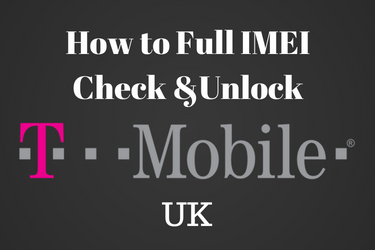 The T-Mobile UK Full IMEI Check report will show you if you meet the unlocking requirements of the Carrier and you can continue unlocking your mobile through T-Mobile’s Unlocking Services. It usually takes 2 business days to get your device unlocking code and the service is free. Of course, trusted IMEI Check providers (like UnlockSpector) can do this work for you if are too busy. 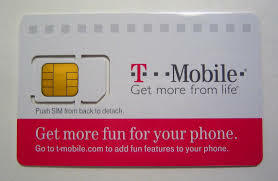 On the other hand, if there are issues with the mobile it is recommended NOT to buy it and if you did, it is always better to trust SIM Unlocking experts like iPhoneUnlock.Zone to get in touch with T-Mobile and tell you how to deal with other issues like blacklist status or iCloud Activation Lock. I hope you find this article helpful. Leave a comment below for more questions. Take care!